Looking west toward the front of the Stickley Bros. factory on Godfrey SW.. 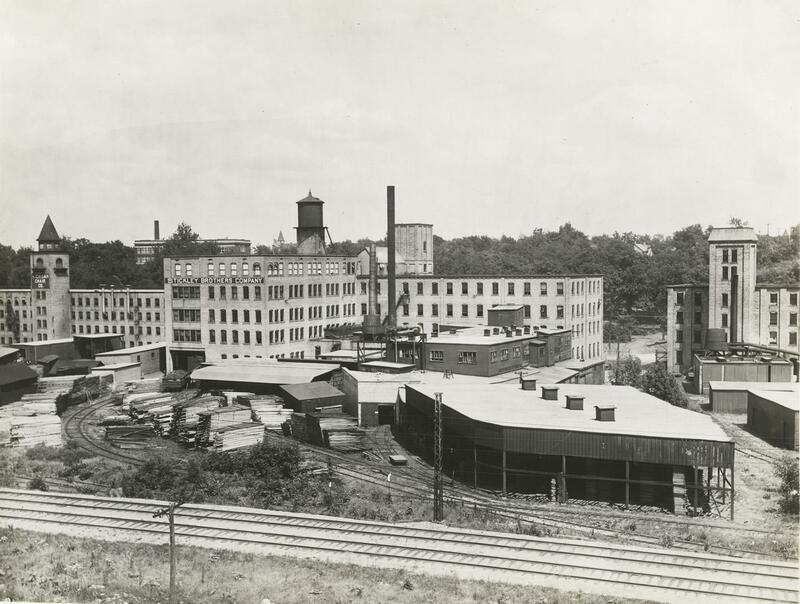 Looking east at the back of the Stickley Bros. factory. Michigan Chair factory is at the far left. 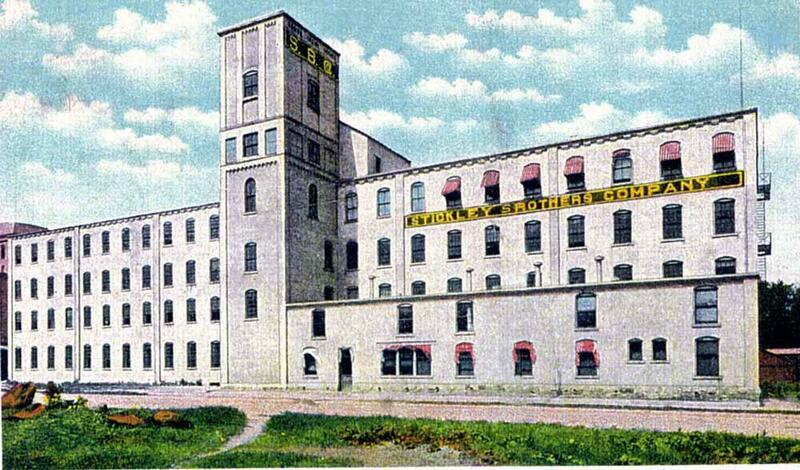 1891: Albert and John George found Stickley Brothers Furniture Co. in Grand Rapids. 1897 – 1902: Company opens factory and wareroom in London, England, to supply the European market. 1917 – 1918: Factory is converted to wartime production during WWI. 1954: Company closes; Carl Forslund Co. continues to produce some Stickley Bros. pieces. Albert and John George were two of the five Stickley brothers who made furniture in the United States. All came from a furniture manufacturing background, and had worked together in an earlier company also named Stickley Brothers Furniture Co., that had operated in upstate New York under brothers Gustav, Albert, and Charles. Brothers Gustav and Leopold opened their own company, United Crafts, in 1899. Gustav eventually opened Craftsman Workshops, and became one of the leading proponents of the Arts and Crafts Movement in America. John George left Stickley Brothers and Grand Rapids in 1900, and in 1902 co-founded the L. and J.G. Stickley Furniture Co. in New York with brother Leopold. Albert remained the head of the Stickley Brothers Furniture Co. in Grand Rapids until his death in 1928. During its early period of production, Stickley Brothers amassed a notable list of craftsmen and designers. The company employed Italian carver Leopold Baillot for three years prior to the introduction of its Mission lines around 1900. Timothy Conti produced marquetry for several of Stickley Brothers’ early Arts and Crafts lines, and operated his business (T.A. Conti and Co.) out of the Stickley Brothers’ factory. Forrest Mann likely trained some of Stickley Brothers’ Turkish and Russian copper artisans, and may have also produced some of their hand-wrought hardware designs. 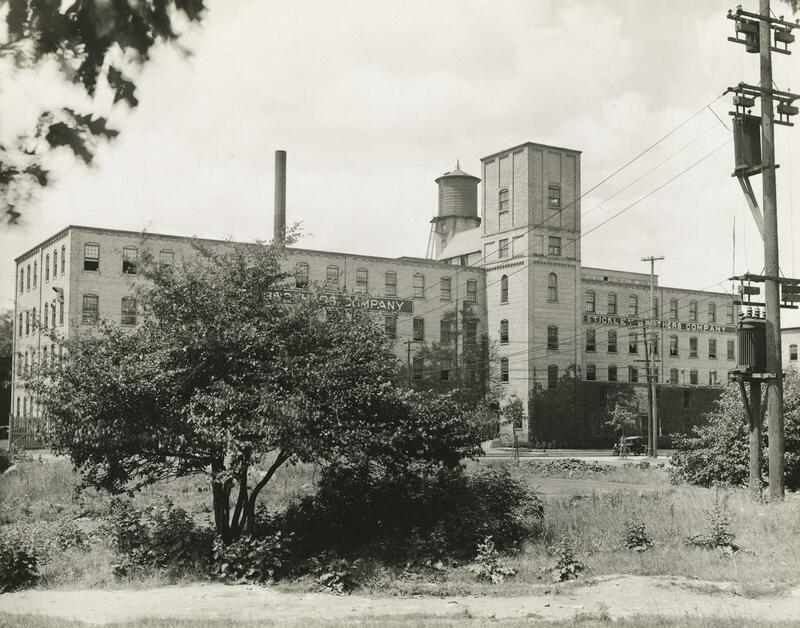 James M. Seino headed Stickley Brothers’ decorative painting department from 1914 through 1938. He received his training from the Imperial Academy in Tokyo, and studied art in Paris and New York before becoming the first Japanese resident of Grand Rapids. David Robertson Smith served as Stickley Brothers’ staff designer between 1902 and 1915, overseeing most of their Mission lines. Arthur Teal served as staff designer from 1908 to 1911, and again from 1920 to 1924, and 1927 to 1936. Stickley Brothers began as producers of occasional chairs and fancy tables in a wide variety of styles, ranging from Colonial Revival to early Mission designs introduced in 1900. The “Bewdley” line, designed by D. Robertson Smith in 1902, drew influence from the English and Scottish Arts and Crafts Movements. It featured attenuated, stylized floral inlay, which contrasted sharply with the rectilinear forms. By 1903 the “Quaint Mission” line was also in full production. Its lines were blocky with little decoration, except for hand-wrought copper hardware and Spanish tanned leather upholstery. A Stickley Brothers Mission dining room suite won a grand prize at the 1904 World’s Fair in St. Louis. After 1904 these influences were merged into the “Quaint Arts and Crafts” line, which was produced for nearly a decade. The “Quaint Manor” line, introduced in 1914, featured slender Austrian Modern lines, cutouts, and caned panels. The company began its stylistic shift away from Arts and Crafts as early as 1909, when straight Mission legs were replaced by heavy turned ones, transforming Quaint Mission into “Quaint Tudor”. The company advertised mostly “modernized period styles” by the mid-1910s. These included adaptations of Italian, English, and Early American styles in suites and novelty pieces such as teacarts. With the arrival of James Seino and other Japanese artisans in 1914, the company also began to offer period revival styles with lacquered or painted finishes and Japanese decoration. The “Quaint American” line of the early 1920s featured naturally finished or polychrome painted Windsor and ladder-back chairs, gate-leg tables, and case pieces that combined elements from a number of American Colonial styles. The “Adam Colonial” line, introduced in 1925, was a somewhat informal adaptation of 18th century English and American forms, painted in shades of ivory, “peacock,” and “colonial” blue. The “Peasant” line, introduced in that same year, was designed to evoke the feeling of folk furniture from Central Europe, and came in painted shades of grey and green. Stickley Brothers continued to produce adaptations of less formal or provincial Colonial American pieces from the 1920s until it ceased production in the 1950s. A number of Stickley Brothers catalogs have been reprinted. Several original catalogs, including a 1903 Quaint Arts and Crafts, are in the collections of the Grand Rapids Public Museum. Don Marek’s Arts and Crafts Furniture Design: The Grand Rapids Contribution, 1895 – 1915 includes useful information on the company’s Mission production. Numerous books and articles have been written about the products of the various companies operated by all the brothers Stickley. Most pay an over-abundance of attention to the work of Gustav, though they often provide interesting comparisons of designs by the three major Stickley companies. The Stickley Brothers used a variety of marks, including paper labels, burned-in marks, and brass tags. Marek’s catalog cites a gold-colored decal and an oval felt or cardboard tag as their earliest. Burn marks appear occasionally on Arts and Crafts pieces from a range of dates. Most common was a brass tag featuring their signature Art Nouveau “Quaint” logo. Still other pieces were impressed with a mark bearing the company name and “Grand Rapids” in upper case. Since the company continued to use the “Quaint” brand name for period revival production, its mark changed only slightly. Pieces from the late 1910s and early 1920s are labeled “QUAINT AMERICAN FURNITURE/STICKLEY BROTHERS CO.” and bear the same Art Nouveau trademark. Labels from the late 1920s replace the words “AMERICAN FURNITURE” with “FURNITURE OF CHARACTER”.